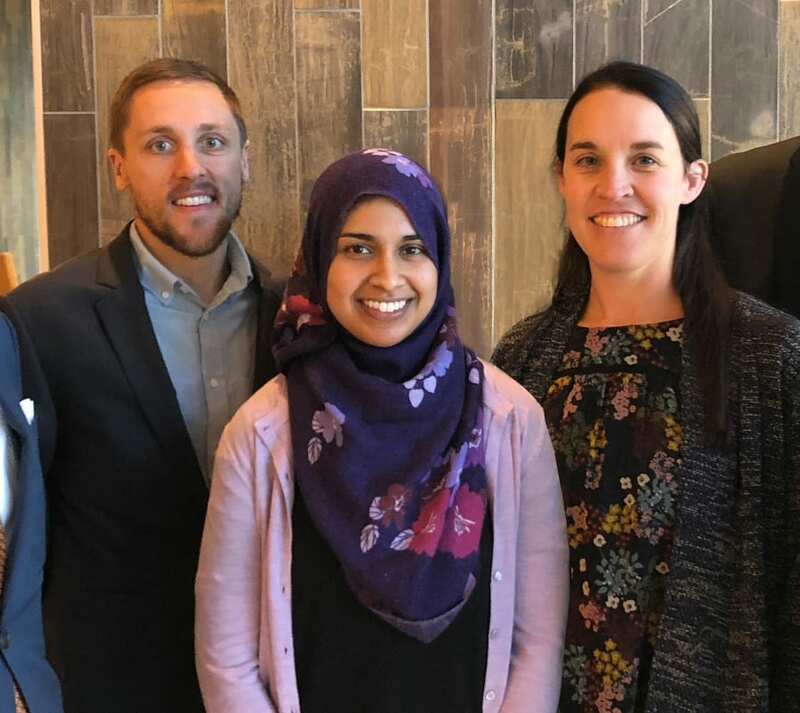 Over the past month, we’ve highlighted the various members of Lake Institute on Faith & Giving’s team, who all play specific roles in conducting and translating research, teaching educational courses, and connecting with leaders of faith communities. 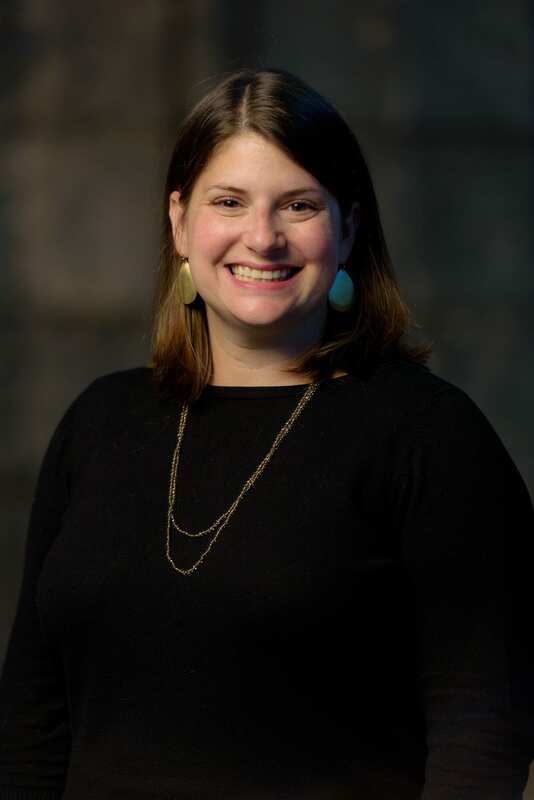 Jacqueline Ackerman is the associate director of research at the Women’s Philanthropy Institute. In this post, she details new research about the intersection of race, gender, and giving. 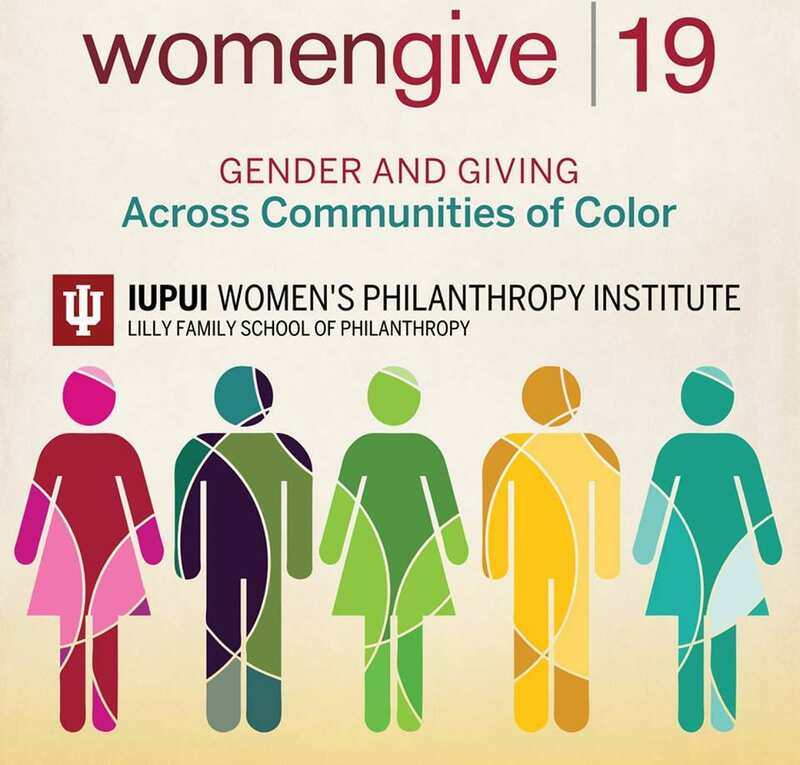 A new study by the Women’s Philanthropy Institute (WPI), Women Give 2019: Gender and Giving Across Communities of Color, highlights that generosity is a value shared by all communities, linking women across race and ethnicity. Melissa Spas teaching at one of Lake Institute on Faith & Giving’s courses. She’s here, there, and everywhere. 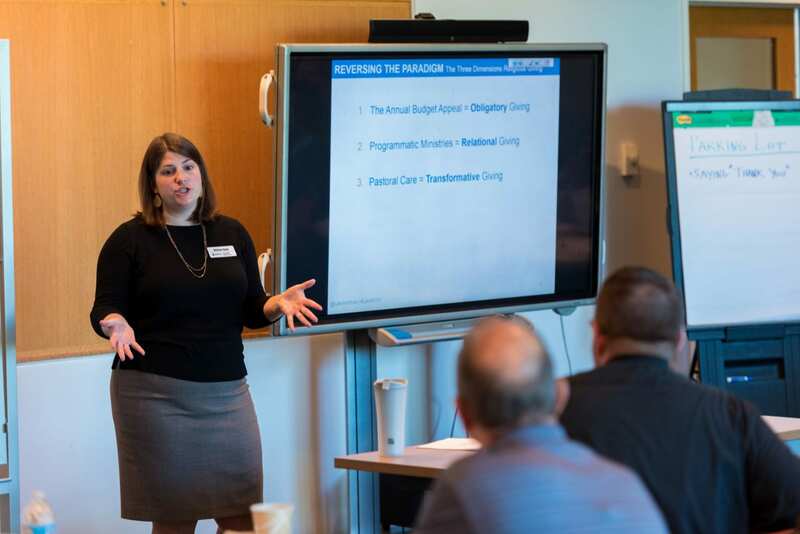 Melissa Spas, the managing director of education and engagement at Lake Institute on Faith & Giving, spends much of her time traveling and teaching religious leaders and congregations about the positive, impactful relationship between faith and giving. She’s always been interested in addressing how religion can do good in the world. So, Spas focused on religious studies as an undergraduate, and attended divinity school for her master’s degree. Thinking she’d be an academic, she studied ethics. However, she soon realized that she valued other ways to make a difference even more. Over time, through hands-on work in the social sector and with religious institutions, she recognized that the funding model for faith-based nonprofits is a critical area to leverage for impact. After six years with Leadership Education at Duke Divinity and two years building new partnerships and initiatives at the School of Public and Environmental Affairs in Bloomington, Indiana, Spas had the opportunity to join Lake Institute on Faith & Giving and the Lilly Family School of Philanthropy. “Joining Lake Institute and the school was a natural next step from the previous experiences I had,” she said. Now, she focuses on education and engagement, thinking about and analyzing Lake Institute’s strategic partnerships and its educational programs. You’ll often find Spas on the road, teaching the institute’s course for religious leaders, the Executive Certificate in Religious Fundraising (ECRF) and its course for congregations, Cultivating Generous Congregations (CGC). She also recruits and trains Lake Institute’s adjunct instructors, supporting and equipping them with information about faith and giving. Susan Taylor Batten with Tyrone Freeman, Ph.D., at her talk on January 15. 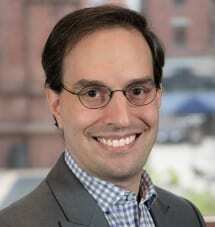 On March 27, Noah Drezner, Ph.D., will discuss “Queering Philanthropy: Emerging Research on Alumni Giving From and Supporting the LGBTQ Community,” which is part of the Mays Family Institute Diverse Speaker Series. Drezner’s talk will focus on his research that shows how and why people in the LGBTQ communities engage in philanthropic behaviors, specifically within the context of giving to higher education. His talk will also explore how straight Americans might choose to support queer communities with their giving. 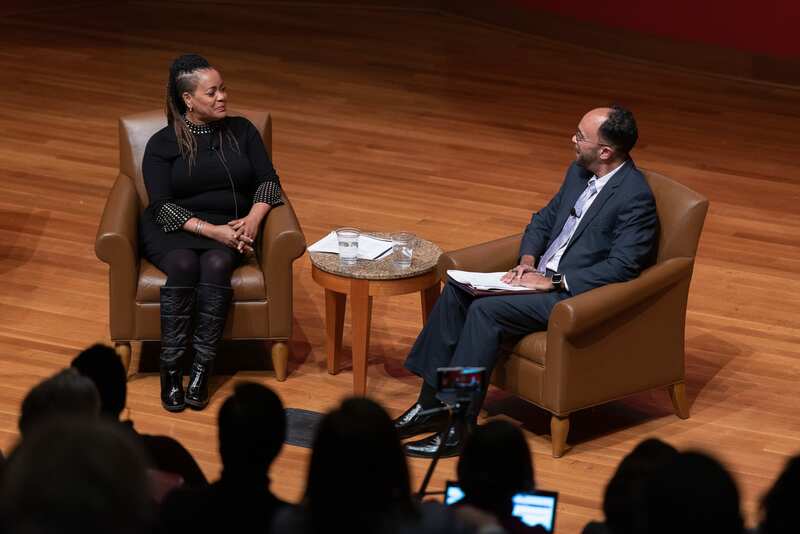 In preparation for his talk, we’re reflecting back on Susan Taylor Batten’s talk—the most recent conversation in the Diverse Speaker Series—about philanthropic leadership on issues of race and equity and her personal journey working in philanthropy. 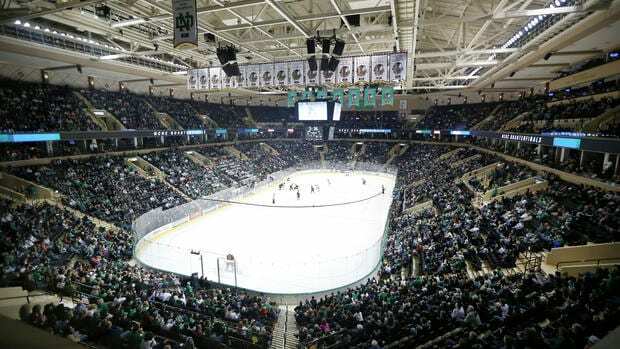 How did you become involved in working with philanthropy and foundations? Susan Taylor Batten (STB): I come from a family who all have careers in helping professions, including teaching and nursing. I became a social worker after receiving an MSW from Howard University that eventually led me to a job in public service and policy research with the U.S. Department of Agriculture. Then, I was tapped to work for a center in Philadelphia doing back office work for foundations. Gettysburg, Pennsylvania, is a town steeped in Americana. It was the site of one of the most important battles in the Civil War, memorialized by a cemetery that Abraham Lincoln dedicated with perhaps his most important address. Former President Dwight D. Eisenhower lived there; his home and farm are now a national historic site. One of the nation’s oldest and most highly regarded liberal arts colleges is located there, whose alumnae include the moderator of this blog.